Cookie Report: Have me told about… Apenheul? Me is back with another fun ‘Have me told about…?’ blog. 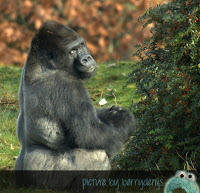 Yes yes, me have to talk about me last visit at Apenheul of the season. 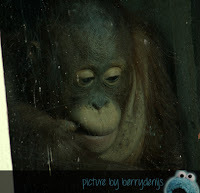 Yes me went there to visit a baby orang-utan before Christmas, but me means the regular season. You must know that this Monkey and Apes zoo closes after Fall break. Most animals retreat to their warm indoor habitats during the colder autumn and winter days. 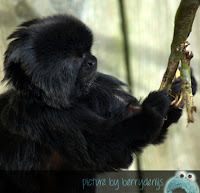 The people of Apenheul uses the wintertime to rebuild or remodel the habitats so the animals have more or new things to climb in and play with. 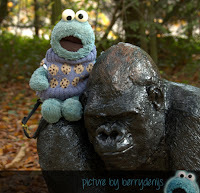 So… Berry and me wanted to say goodbye to the apes and monkeys of the zoo and went to Apenheul on October 30th. Almost at the end of Fall break. It was a beautiful sunny autumn day. 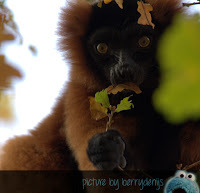 And me got to enjoy two thing: apes & monkeys at the zoo AND a beautiful autumn forest. 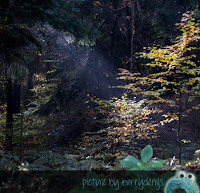 Apenheul lies in a huge forest and next to a park called Berg & Bosch. So before you enter the zoo, we walked through the park and enjoyed all its colors. 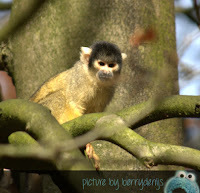 Once inside we first visited the cheeky little Squirrel monkeys. Ofcourse we visited all the monkeys and apes. 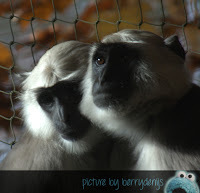 Like the beautiful orang-utan and the curious but shy vari. 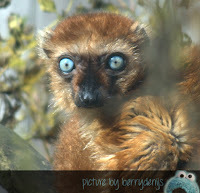 Me loved the blue eyes maki (hey, me just love blue) and ofcourse the gorillas. Berry made such beautiful pics, let’s enjoy them together okay.